Above is the final tweet posted by Leonard Nimoy, who died yesterday. His twitter feed remains open, retweeting messages of condolence. Today, the world lost a great man, and I lost a great friend. We return you now to the stars, Leonard. You taught us to “Live Long And Prosper,” and you indeed did, friend. I shall miss you in so many, many ways. 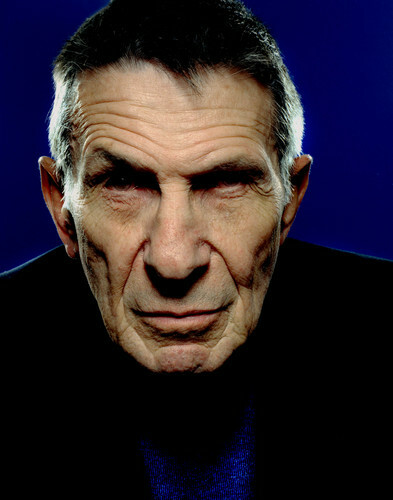 The premium netowrk will run A Conversation with Leonard Nimoy on Friday, Feb. 27 at 11 p.m. (ET), followed on Saturday at 5:40 p.m. and 10 p.m., as well as Sunday, March 1 at 8 p.m.
Nimoy looks back at his 50-year involvement with one of the sci-fi genre’s more famous franchises with Star Trek Into Darkness on Saturday at 10:15 p.m. and the following day at 8:15 p.m.
Update: More in SciFi Weekend, our weekly review of science fiction and genre. A longer statement from President Obama on Leonard Nimoy and the comparisons between Obama and Spock. Posted in Barack Obama, Science Fiction, Television. Tags: Barack Obama, Leonard Nimoy, Science Fiction, William Shatner. RSS feed for comments on this post.. TrackBack URL. Whatever happened to ‘Lt. Uhuru’, I wonder? “Uhura“! Of course, ignorant me, no wonder she never answered my letters! Still, nice to see that she grew into a very beautiful and elegant older lady.